When Saudi Arabia confirmed identity of Jeddah suicide bomber as Pakistani Abdullah Qalzar Khan, it felt like a kick to the stomach. Then it got worse. 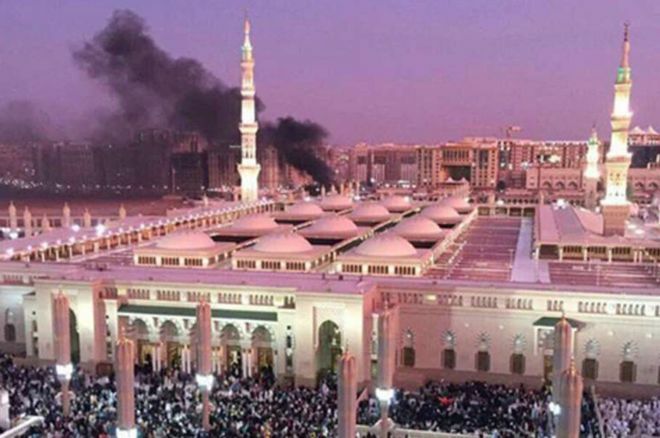 12 of 19 arrested for three bomb attacks in Saudi Arabia were Pakistani. There has been no clear explanation for the terrorists motivations, but that is not the point. There can be no justification for terrorism. I only mention this because it is another example of our countrymen who have been “willing to die” for their cause. We can accept that these man were misguided and unjustified and whatever they believed, they have actually done more to harm Islam than to defend it. These reports were followed by another news report quoting PML leaders saying that ‘Pakistanis are ready to lay down their lives for Harmain Shareefain security’. While we don’t know their exact thinking, it is easy to assume that Abdullah Qalzar Khan and the others who carried out bomb attacks in Saudi Arabia probably believed they were laying down their lives to defend Islam. Now we are told all Pakistanis are ready to lay down their lives to defend Islam from those who are ready to lay down their lives for what they believe is defending Islam. Maybe it is time that everyone stop trying to die for Islam and start trying to live for it. Abdul Sattar Edhi has done more for Islam in this world than any jihadi, and he has done it not by killing or dying but by living and helping to live. Edhi sahib has given the greatest sacrifice of his life, not by losing it but by giving it to others. There is a famous story of a man asking if his ambulance service is Islamic why his ambulance picks up non-Muslims. Edhi sahib replied perfectly, ‘Because the ambulance is more Muslim than you’. If we want to honour Islam, we need to be as Muslim as Edhi’s ambulance, not Kalashnikov’s rifle. This entry was posted in Blogs and tagged Edhi, Saudi Arabia, terrorism by Omar Derawal. Bookmark the permalink.